One of the topics at Global Policy Summit in Yaroslavl will be President Medvedev’s article “Go, Russia!” on the country’s modernization. President's press secretary Natalya Timakova spoke with RT on the issue. RT: In his article "Go, Russia!" published last year, the President named corruption as one of the biggest problems slowing down the country's development. According to some figures, its volume reaches around half of annual GDP. What has changed since then? 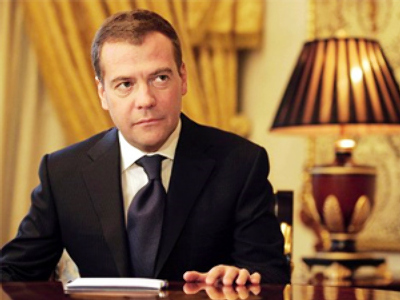 Natalya Timakova: Indeed, a year ago, in his article “Go, Russia!” President Medvedev gave a detailed and unflattering account of the situation Russia is currently in. It wasn't unflattering in the meaning of critical of the previous period and previous achievements – no, on the contrary, they were given credit – but it was stated that the model of development Russia had chosen and pursued until now is no longer viable. The president named a number of reasons that stand in the way of the country's development. Corruption was named as a major reason for delay in development. It is true that no competition is possible until we have a well-built and up-to-date judicial system, until we combat corruption and have fair unbiased courts and honest and unbiased law enforcement personnel, and without all this it will be hard for Russia to secure a good place on the global scene. Also, both in this article and in his other speeches, the president said that the task of combating corruption is quite challenging. Regrettably, legal nihilism is typical not only of some layers of our society – in the first place, of the law enforcement agencies which have greatest problems with corruption, and of the bureaucratic machine – it is generally typical of the whole society, and most of the people, every one of us, has ideas that are far from ideal about how various issues must be settled. The brightest example we always mention is the dealings with traffic police officials, and there are quite a few examples like this. Therefore, naturally, the task to overcome corruption is set for more than one, two or even four years. It requires much more time, because it requires not only some changes in legislation, introducing more rigid rules for state officials, businesses, and courts, but first and foremost it requires a change in the public opinion of these things. Obviously, it will take time. Nevertheless, many steps have been made over this year to start implementing the ideas outlined in the president's article. I'll remind you that since last year the state officials are required to publish their tax return reports – both for themselves and for their family members. In addition to that, the Anti-corruption Council headed by the president, is active. A number of amendments to the anti-corruption legislation have been adopted. I'd like to re-cap: we are not expecting immediate results – it would be strange to expect them right now. It is obvious that it's a long-term scheme, which will continue and which will remain a priority on the President's agenda. RT: Russia is one of the biggest oil producers in the world, but that has led to economic dependency. Is there anything else that can take the place of petrodollars? NT: The president said that the country's dependence on the oil and gas industry and oil prices has become devastating for our economy. Of course, such a large country with such a large population and such a large number of open social issues should not build its economy and its economic expectations purely on global oil and gas prices. It would be a strange and unhealthy dependence. That's why the president brought up the subject of modernization and the necessity to switch to new innovative economic development patterns – in order to have other major sources for our budget than merely oil and gas. We have made good progress over this year. First of all, large projects, such a Skolkovo, have been launched. Last year it was just an idea, while today it's a full-scope legal project with clearly defined tax preferences, and with a clearly defined team. Its overseas partners are adding in number, it has been joined by such global companies as Cisco and Nokia, and we could be saying that this project must become to some extent the engine of the process and show how the economy can be built and how money can be made in other ways rather than by oil and gas. Moreover, a number of decisions have been made to support small and medium-sized businesses in the aspect of innovative technologies, and we hope that these measures will yield results and the taxes turned in by the small and medium-sized businesses will no longer be earned on the processing or re-selling of goods, but on innovative projects. RT: Thursday's blast in Vladikavkaz, two attacks on Moscow's Metro in March and various incidents in the south of Russia have made this year very uneasy – many people have lost their lives. What is being done to fight terrorism? NT: The president believes that modernization is impossible without solving that problem. Despite the fact that we had a number of serious terrorist attacks this year, in which unfortunately many people were killed, our law enforcement agencies have been quite effective. For instance, they managed to arrest several people who were behind the most serious terrorist attacks. Incidentally, I’d like to point out that this is an improvement because in the past security forces rarely were able to capture terrorists alive. Now a number of terrorists have been arrested and interrogated. 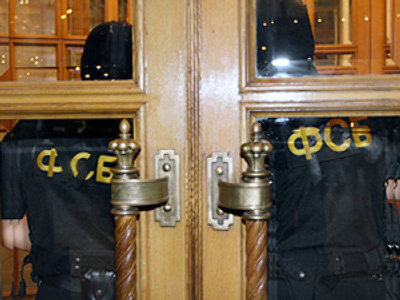 The terrorists who organized the blasts in the Moscow Metro have all been killed. This work is going on all the time. Perhaps it’s not that obvious at times, but it is definitely a priority. Simultaneously, the authorities work to improve the socioeconomic situation in the North Caucasus. As you know, Aleksandr Khloponin was appointed the president’s authorized representative in the region, and at the same time he has the rank of deputy prime minister. His main job is to attract investors to the North Caucasus and to create jobs there. We hope that these measures will ease social tensions that terrorists often take advantage of. RT: Wildfires that raged across Russia tested the whole country this summer, taking many regions by surprise. Who is to blame? Rescuers say they are not responsible for preventing forest fires, forestry officers claim they don’t have the money to deal with all the fires. Is enough being done prevent such disasters in the future? NT: The situation with wildfires this year was very serious. And unfortunately it did not only destroy buildings, but killed many people too, which of course is the worst outcome. These fires showed that local authorities in many places were not ready to protect people, issue warnings. They also showed that there is a serious shortage of equipment, necessary to fight the fires. We will draw the necessary conclusions from this. The president, prime minister and government are working on this. There is mutual understanding that the measures that were taken were not enough, and there needs to be a more systematic approach to this work. The president recently held a meeting where these issues were discussed. Changes could be made to forestry legislation, so that our forests would be better protected from fires. We need to define responsibilities of local and federal authorities, because unfortunately in many cases the main reasons for tragedies were negligence or failure to follow fire safety regulations – there were no fences and necessary barriers in the forests, which led to the rapid spread of fire. Also this natural disaster showed that we need to get better, more modern equipment. In many places they still use fire trucks from the 1930s – they are totally outdated in all respects. Of course, we need to have the latest equipment, so that this never happens again. RT: Judging by their comments, a lot of people who read the president's vision expressed skepticism about reforms to the country’s political system. How can you make people believe change is possible? What guarantees can you give? NT: The president talked about it in his article – modernization in Russia has usually taken place through some harsh measures. 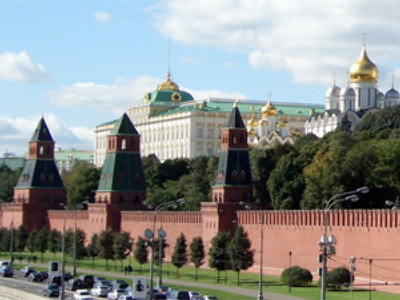 Just think about the reforms of Peter the Great, or Stalin's modernization. It was in no way democratic, it was done through totalitarian means, many people fell victim to this modernization. So it is a big question – whether or not the end justified the means. That's why in his article the president talked about how difficult the path of modernization was, and if we want to do it now, in the developed democratic society. Of course, as he writes in his article, modern society requires a modern political structure. It could be different in every country, but it is clear that there are mutual values, mutual approaches – the value of human life, freedom of opinion, freedom of speech, freedom of religion, private property of course – all these things that are upheld in Russia have to be protected and implemented as part of the political system that we are building. The president has proposed a number of amendments to legislation. These amendments allow the opposition to participate in the life of the country. There have been cases when civil society appealed to the president directly and received a response. The best example is the situation around the Khimki Forest. It got the president's attention, after the opposition as well as United Russia asked him to stop the process of clearing the woods and study the situation in more depth. The president has mentioned the issue several times. It is important for authorities to stay in constant dialogue with civil society, with its representatives expressing certain opinions, so that there is always consensus on all issues. RT: Not all the changes mentioned in the article can happen overnight. Does President Medvedev plan to run for a second term to see through all the reforms he envisions? NT: I don’t think that’s the right way to look at it. The point is not just the second term. The point is that, as you said, it will take more time to implement the plans declared by the president than just a year or two. The modernization agenda put forward by the head of state is supported by both the majority of society and the government. That's why solving these problems goes beyond the framework of one presidential term. This agenda is not just some program that has been put together haphazardly. It deals with serious, urgent problems that have to be addressed.